EasyPath GFA6900 is a large capacity GEPON OLT equipment with card plugging design of “EasyPath GFA6000” series. It provides 144 GEPON optical interfaces and connects 9216 remote ONUs at most. 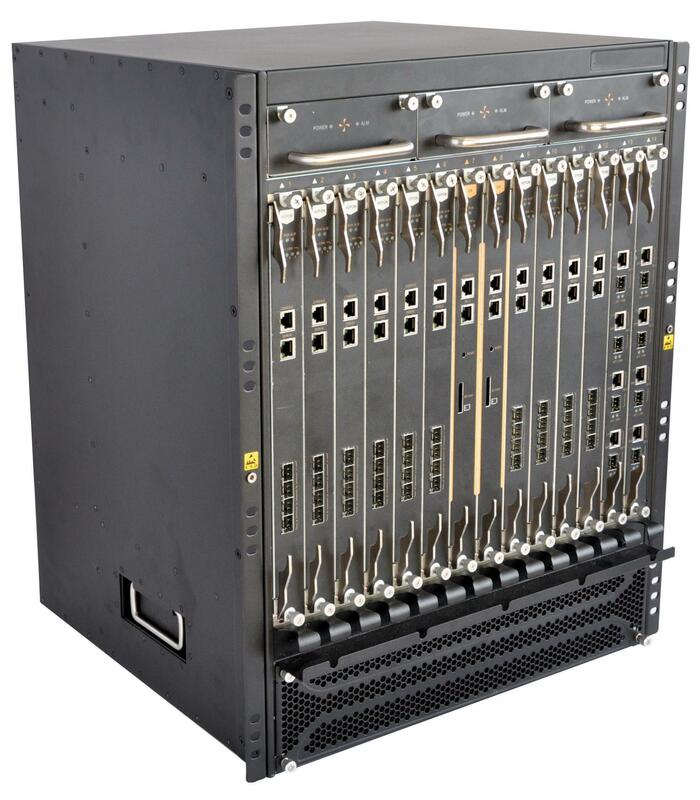 It provides GE optical/electric and 10GE optical uplink interfaces. EasyPath GFA6900 is convenient and flexile for extending and upgrading service with rack design. EasyPath GFA6900 can be applied to access solutions of FTTC/FTTB/FTTP/FTTH. EasyPath GFA6900 works with the remote ONU of EasyPath GT8xx series and it can build the PON network through the connection of the fiber and the ODN(optical distribution network). 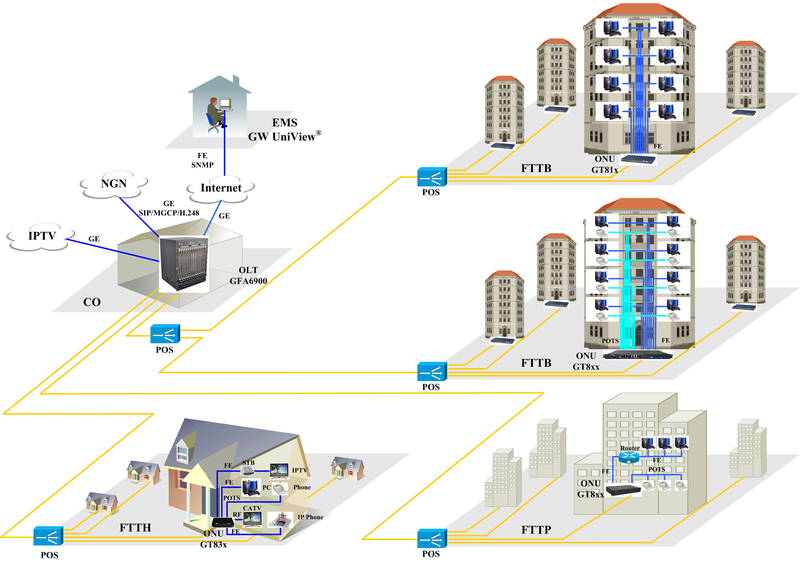 EasyPath GFA6900 system can improve resource utilization of carrier basic network. And it can also provide broadband data service, traditional voice/VoIP service, CATV/IPTV service.